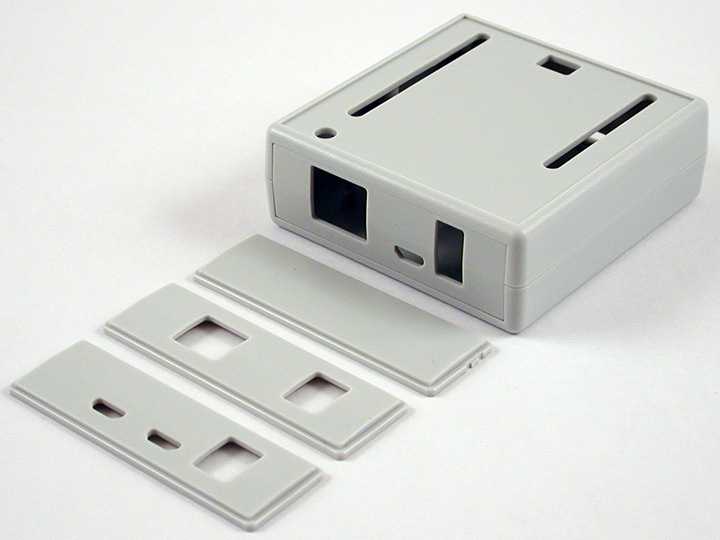 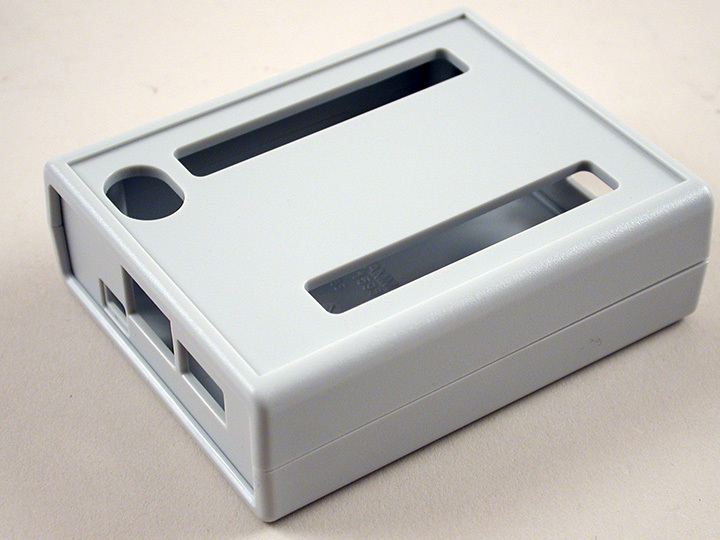 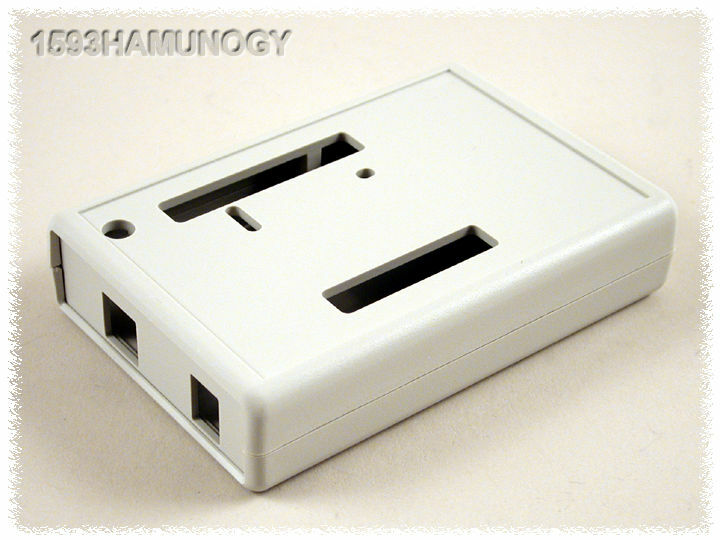 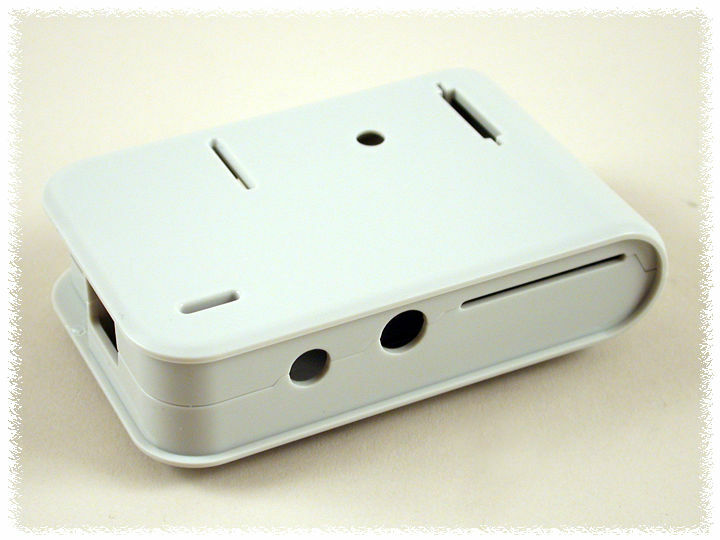 Designs based on our popular 1593 series plastic enclosures. 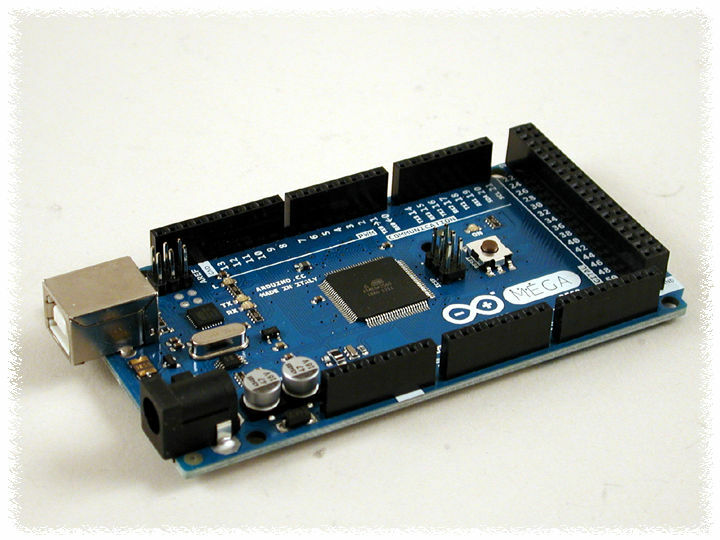 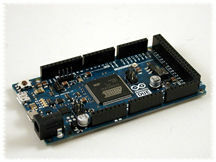 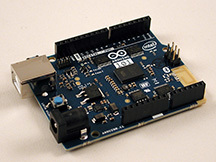 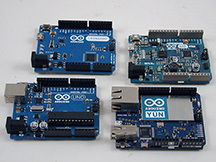 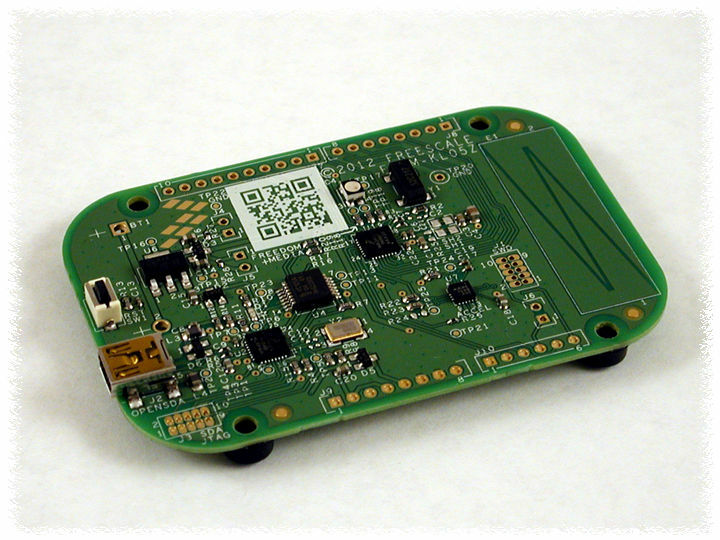 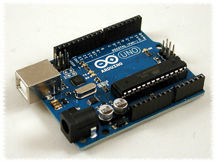 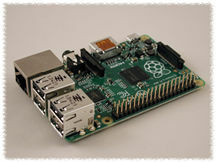 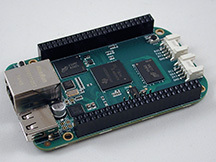 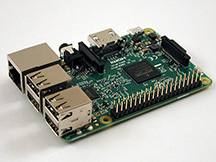 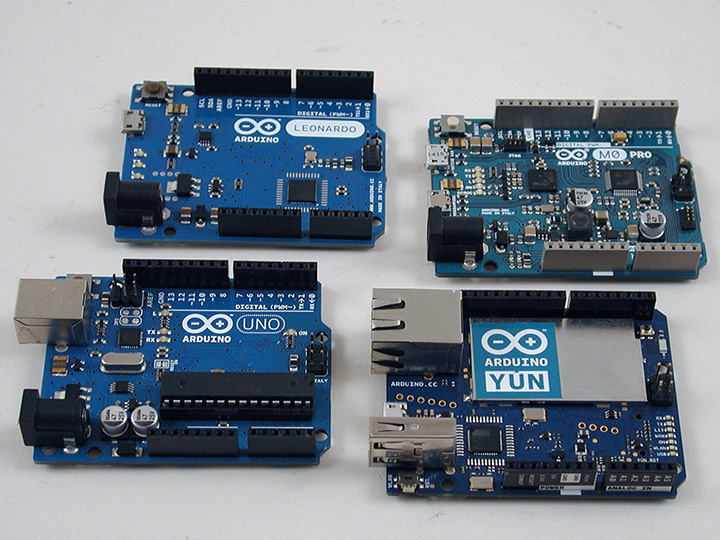 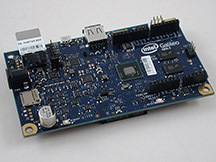 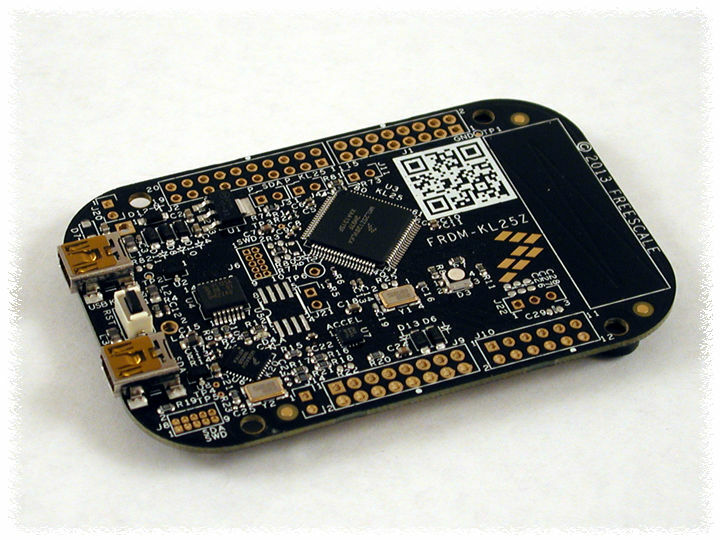 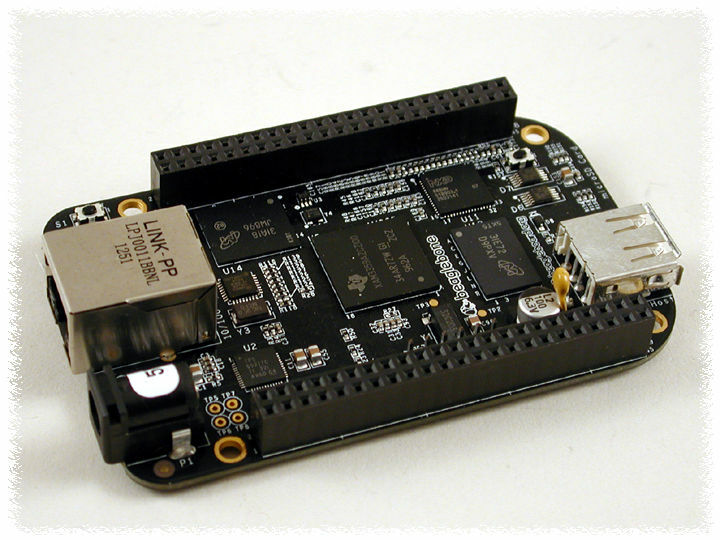 Machined and/or molded to accept popular development boards - choose from the Arduino Uno, Arduino Due, Arduino Mega 2560, beaglebone, beaglebone black, freescale freedom KL-05Z, freescale freedom KL-02Z, freescale freedom KL-25Z, Intel Galileo GEN 2 or Raspberry Pi (all 4 versions). 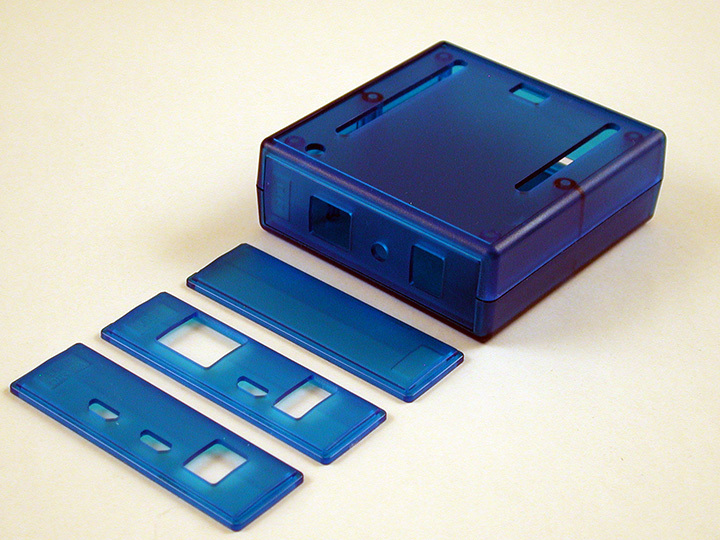 Molded in a choice of black, grey or Translucent Blue general purpose ABS plastic with a satin texture. 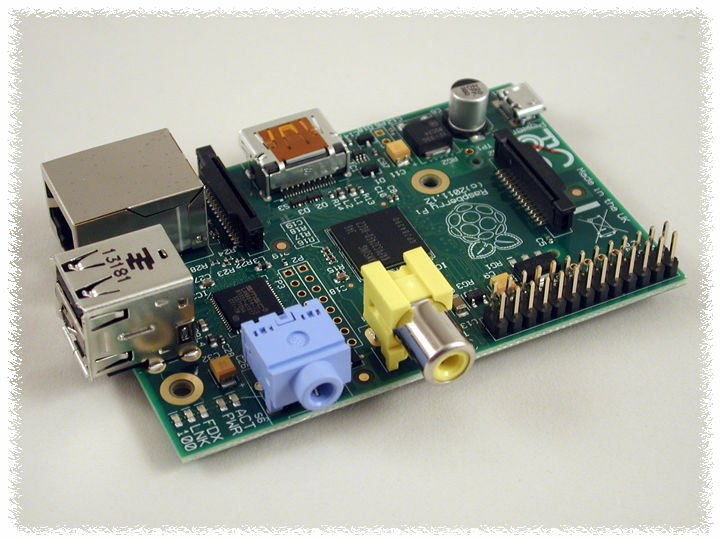 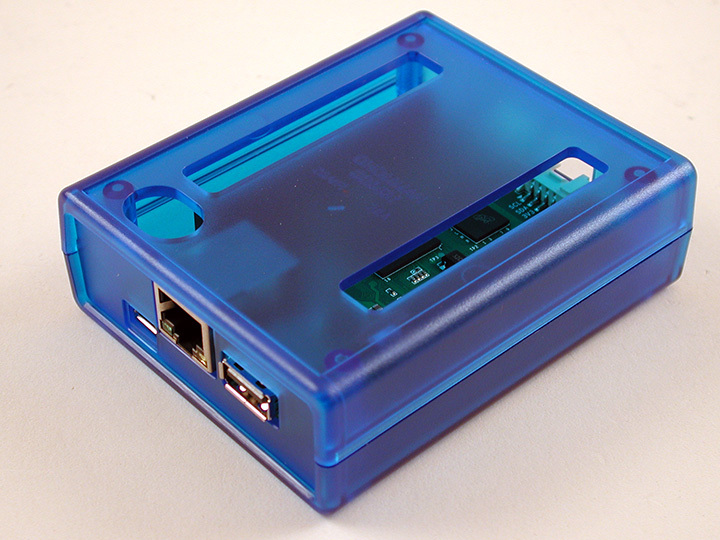 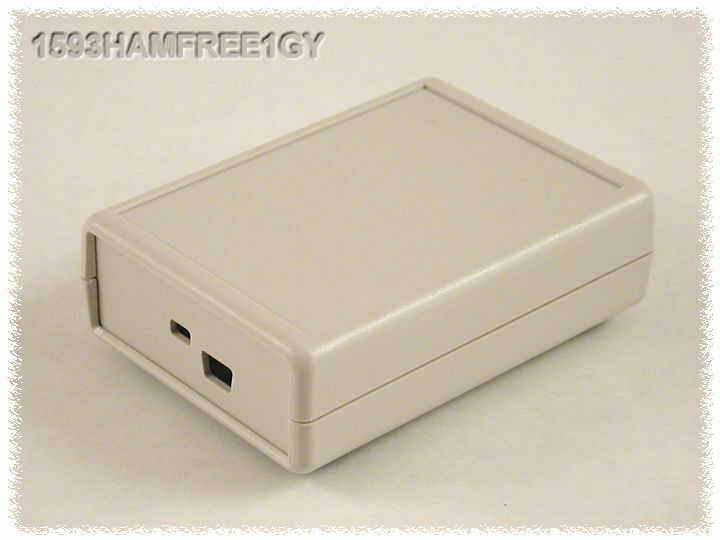 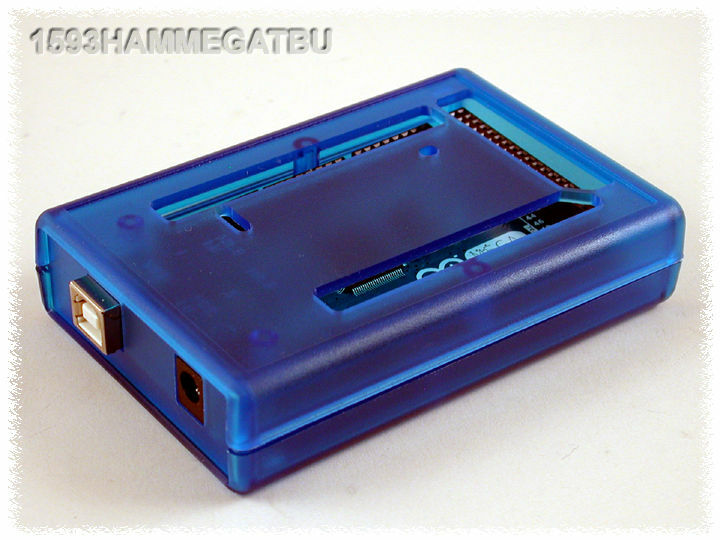 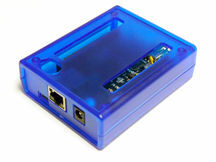 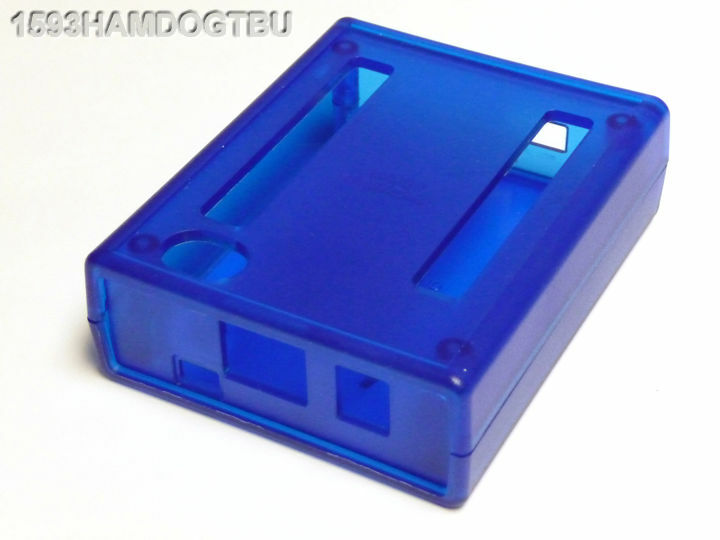 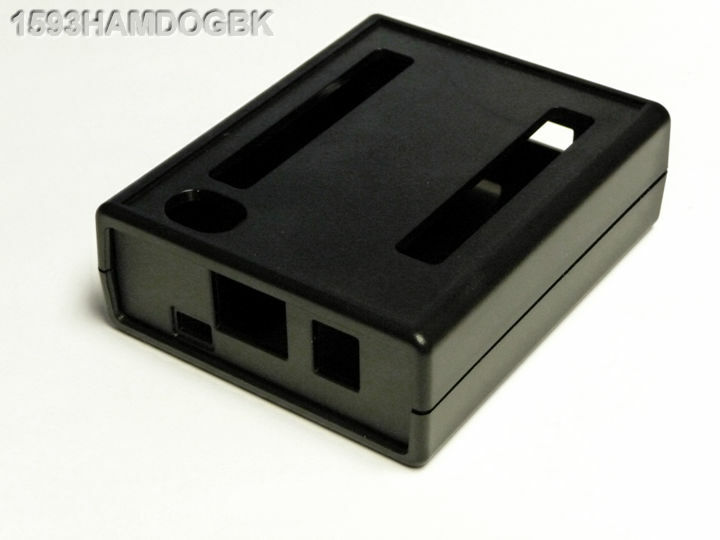 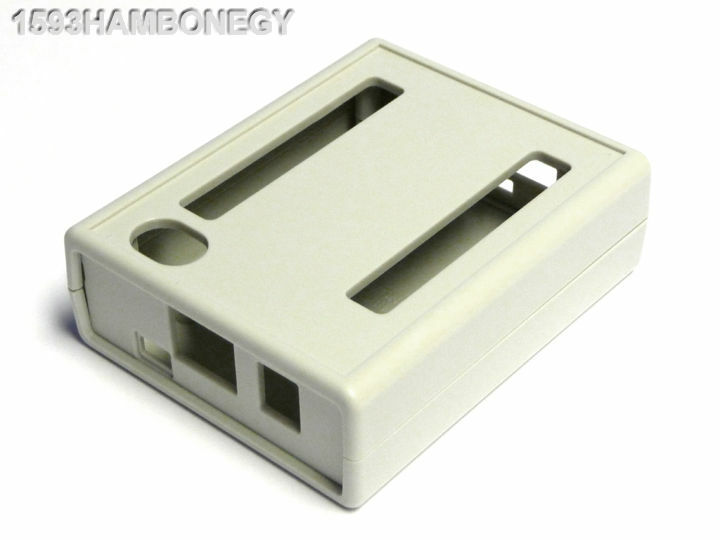 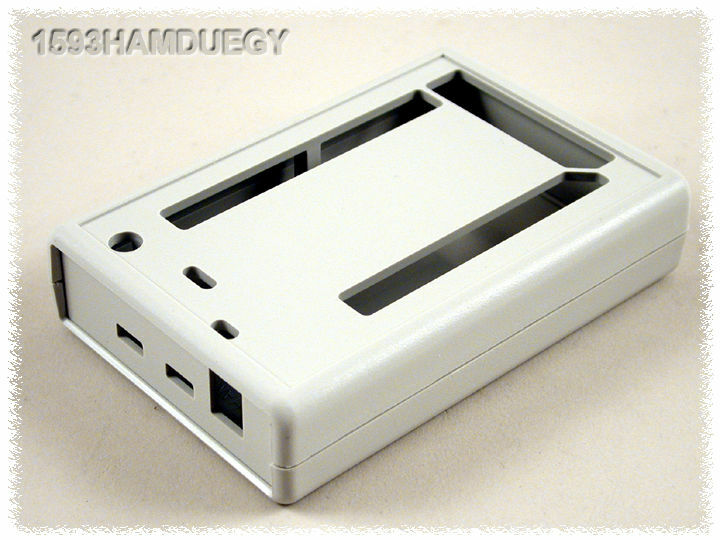 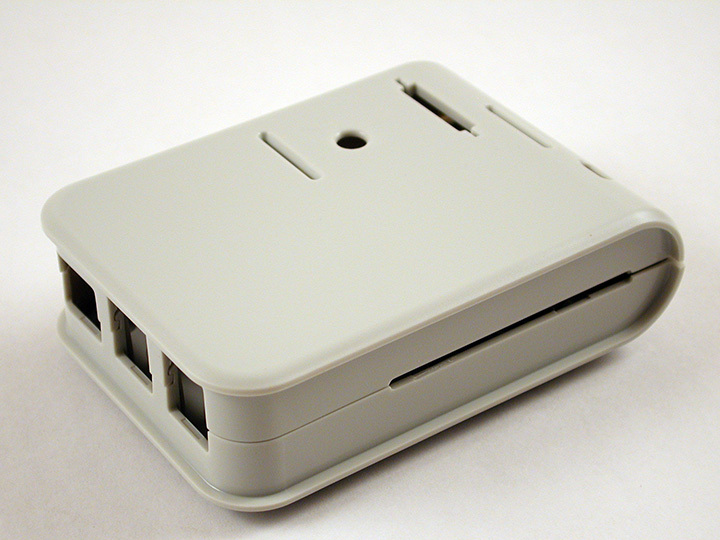 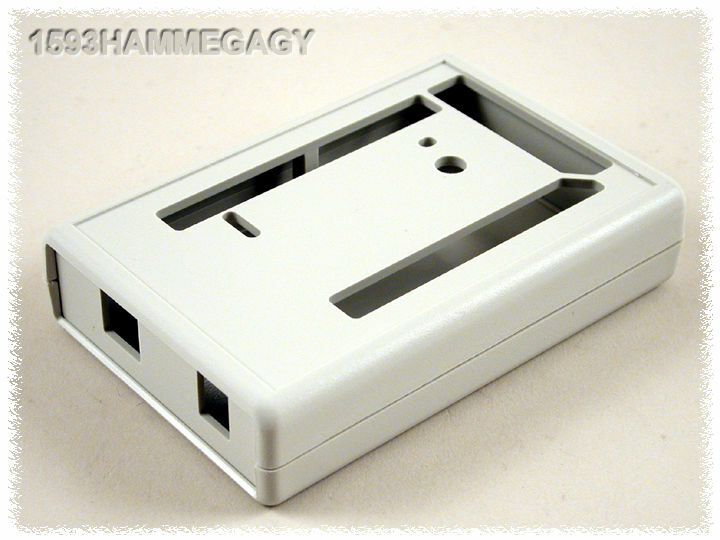 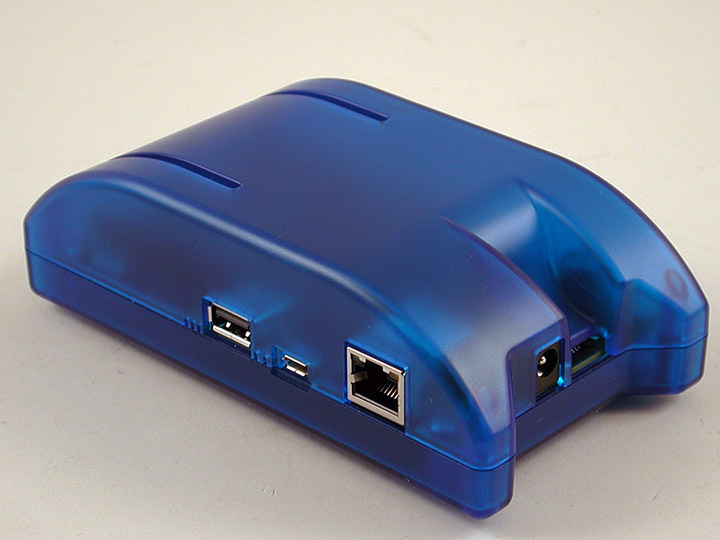 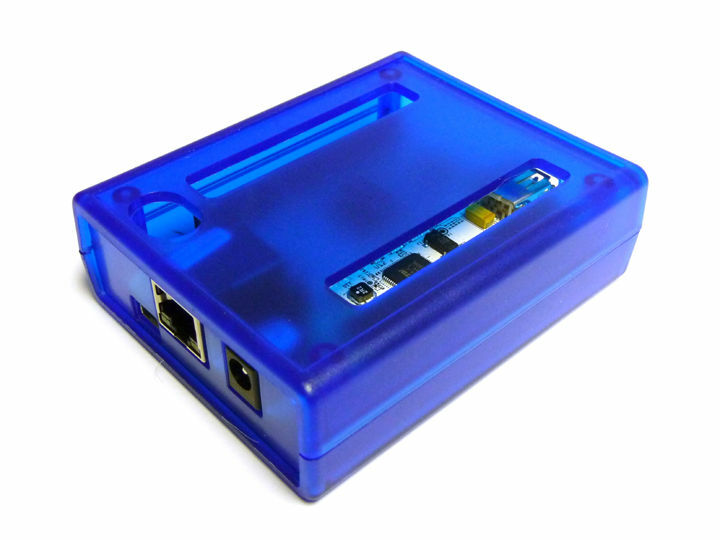 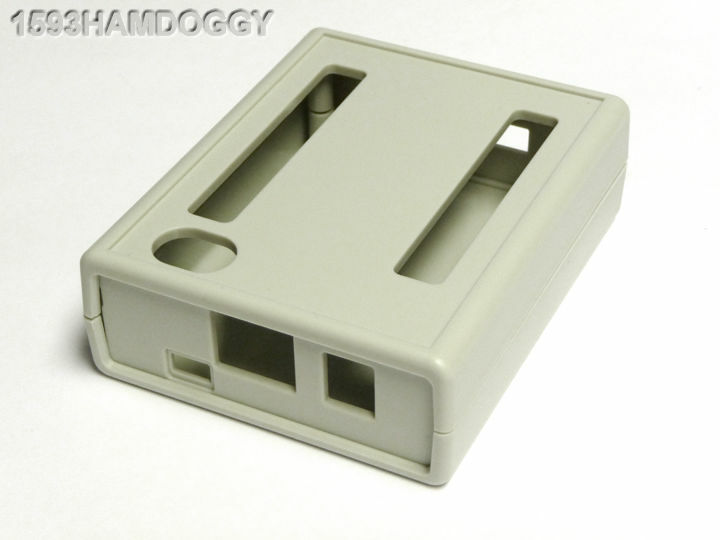 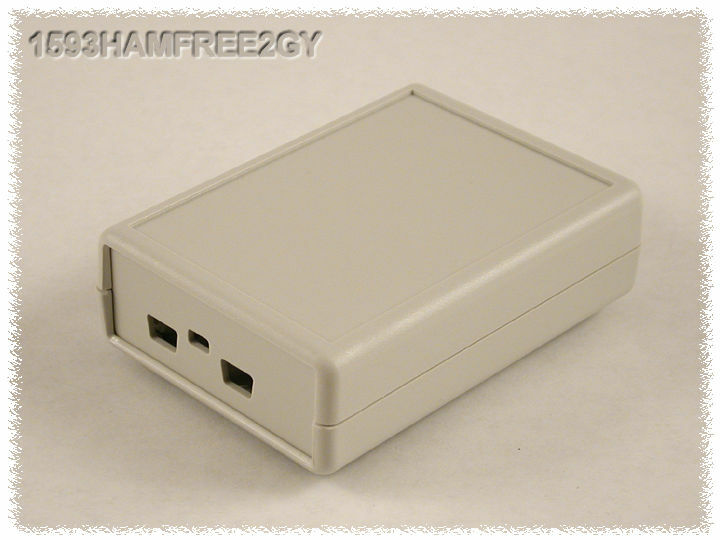 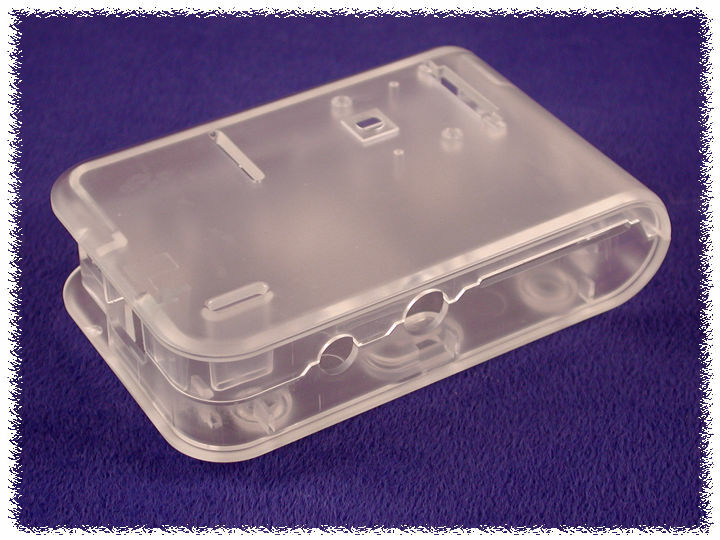 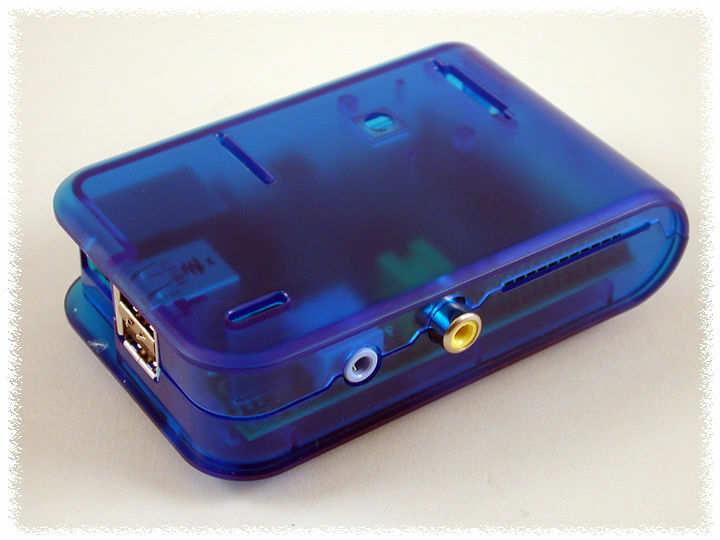 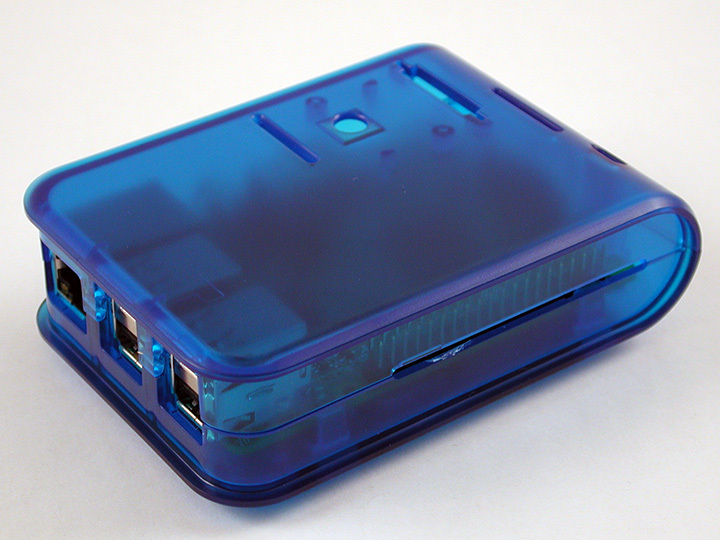 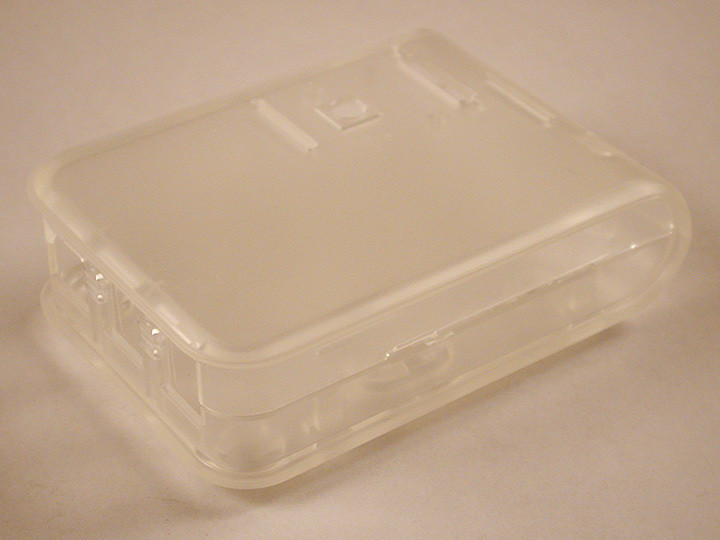 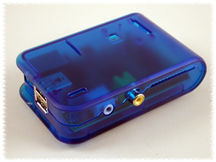 Translucent clear is also available for the Raspberry Pi enclosure. 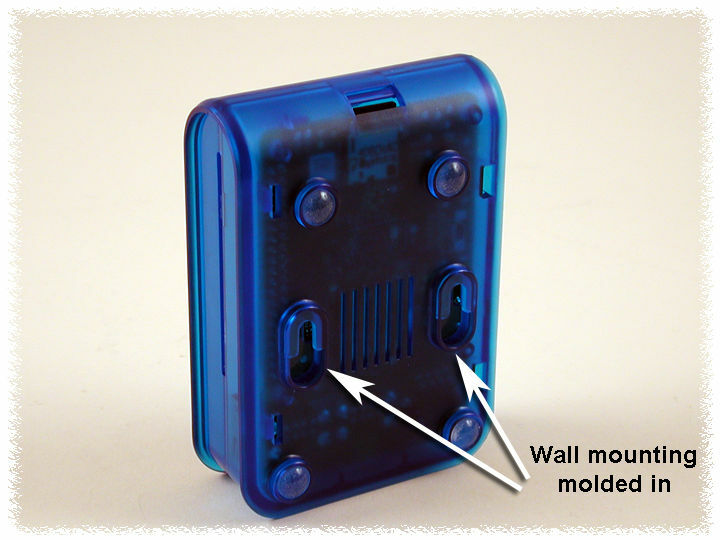 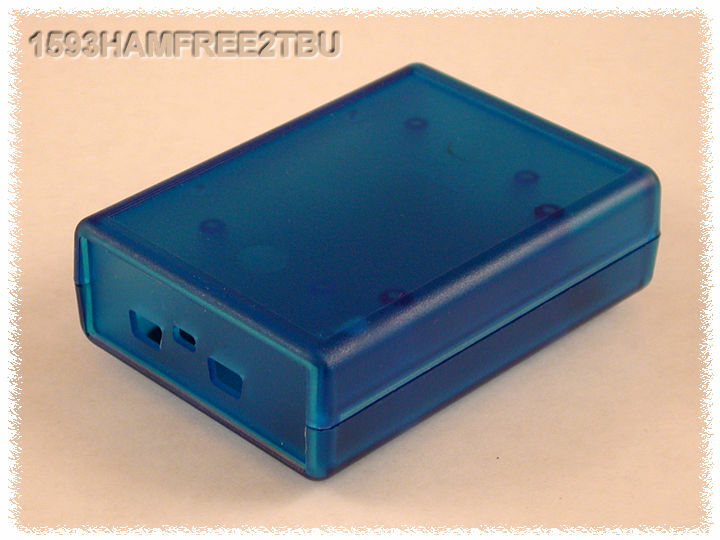 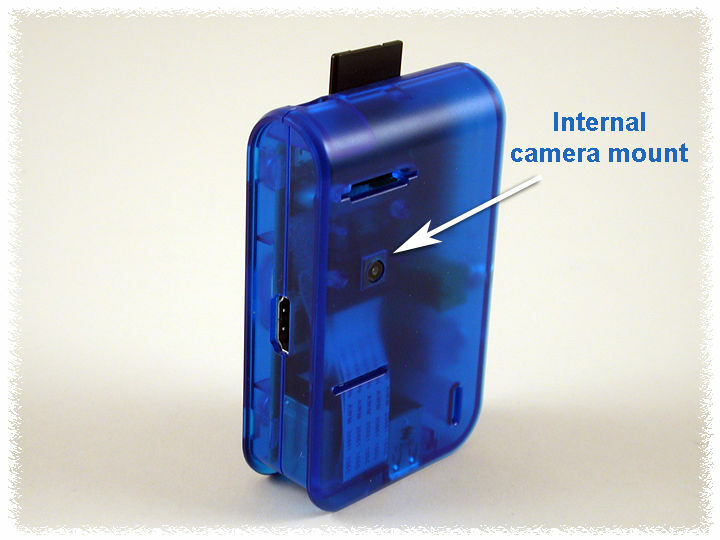 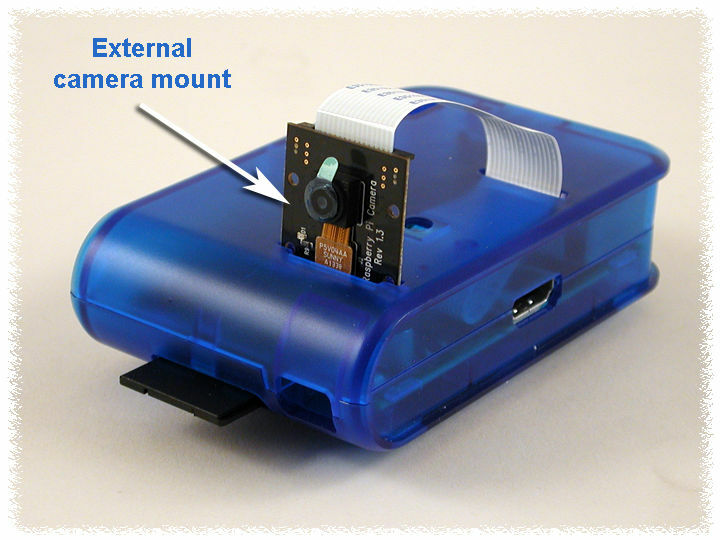 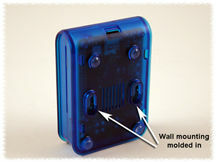 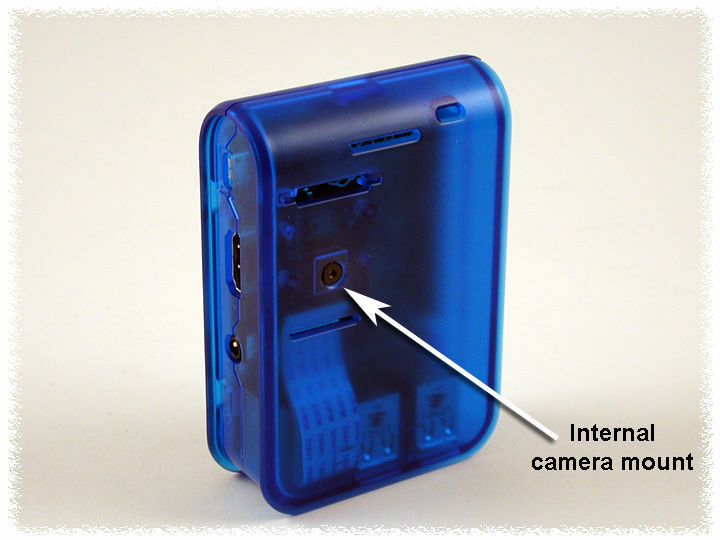 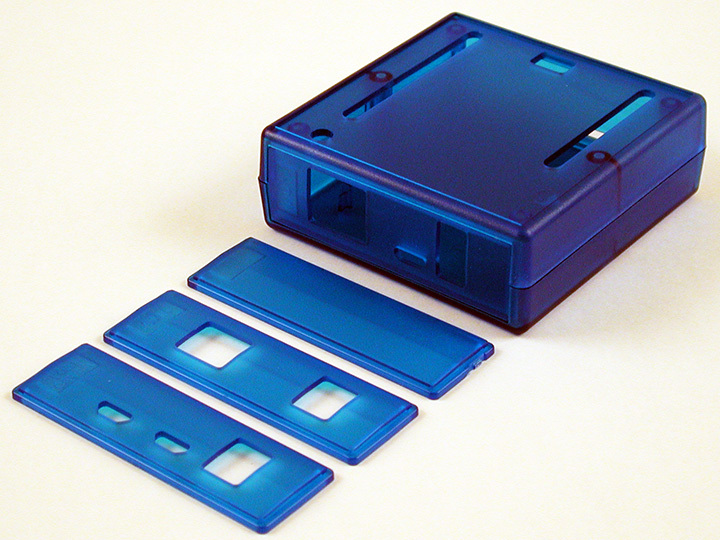 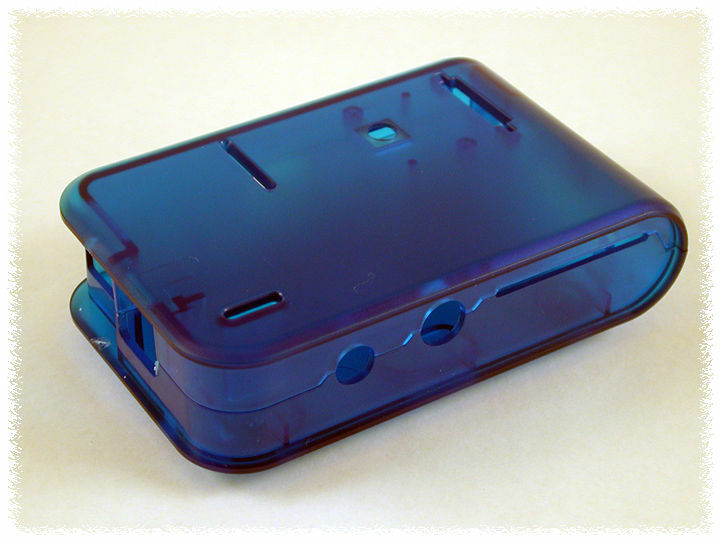 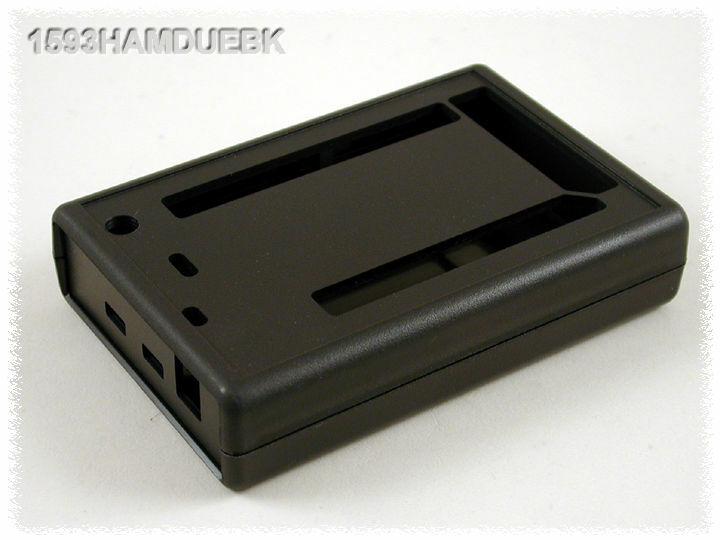 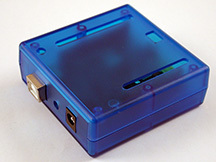 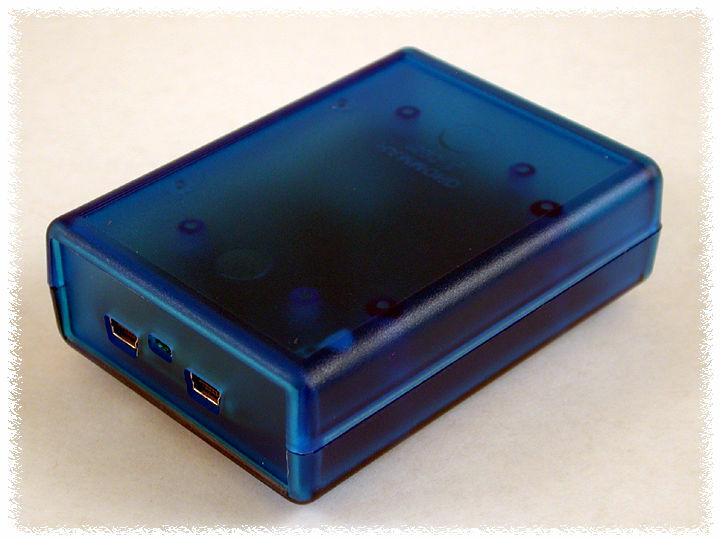 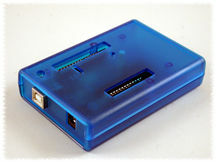 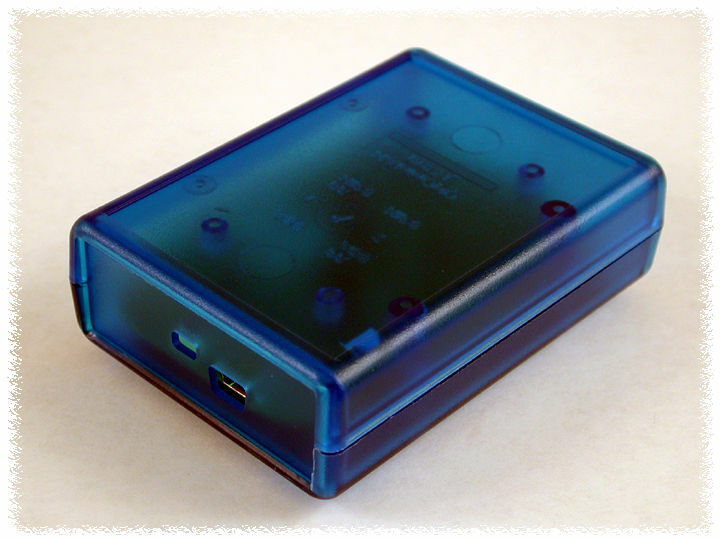 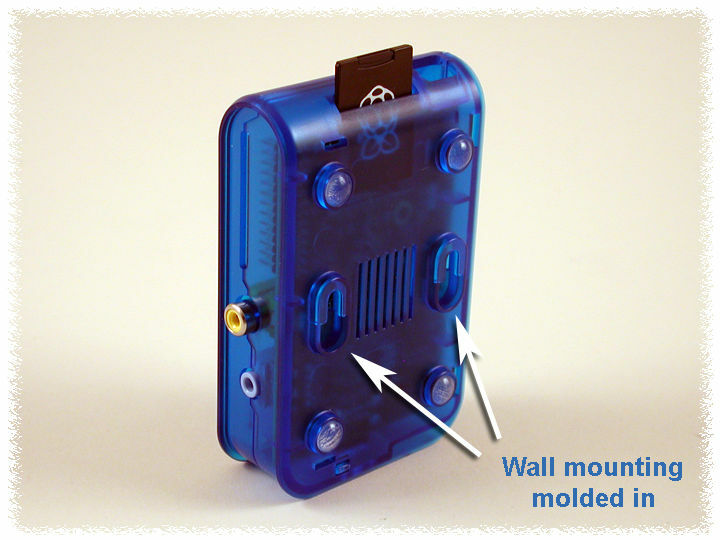 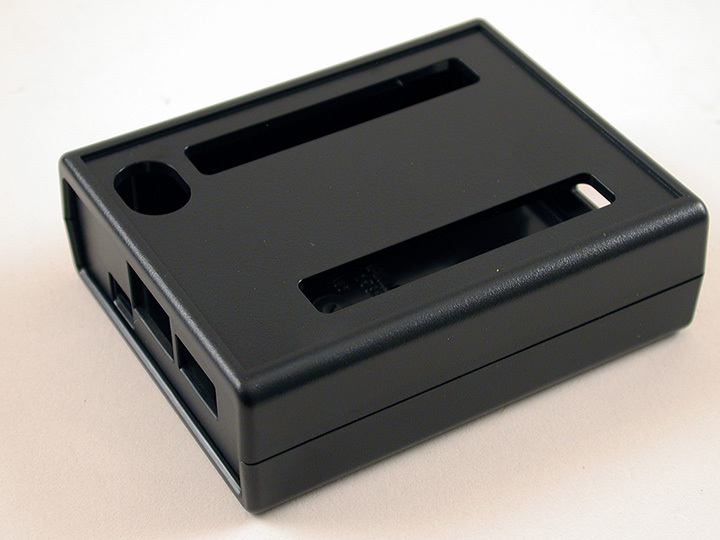 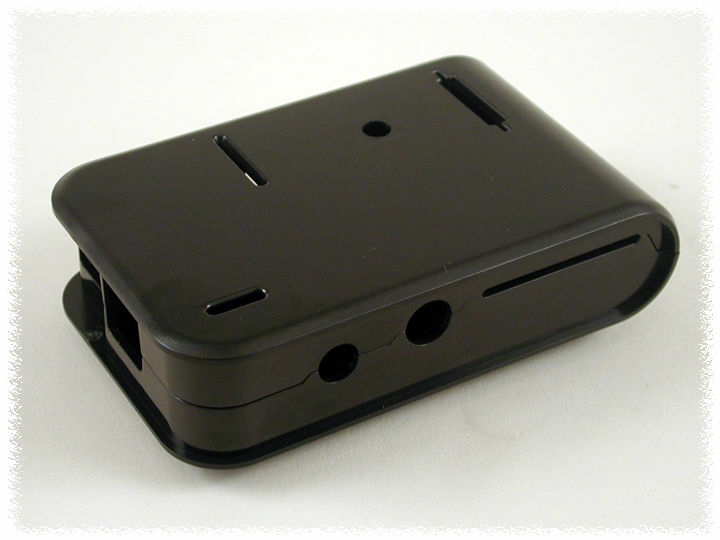 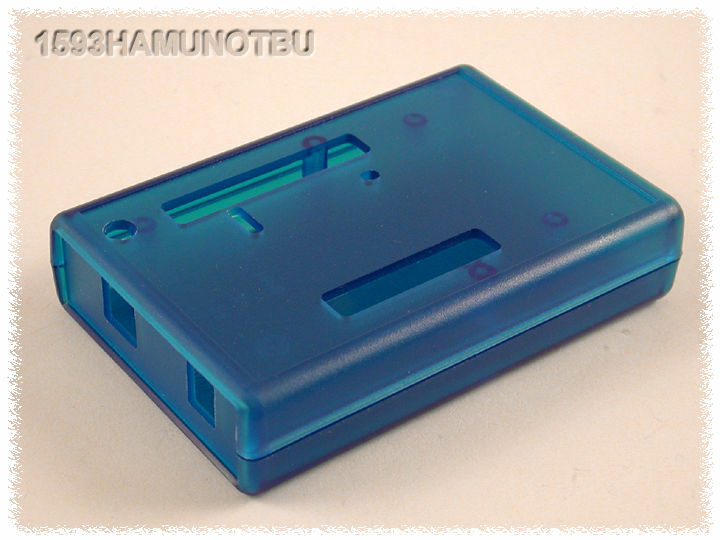 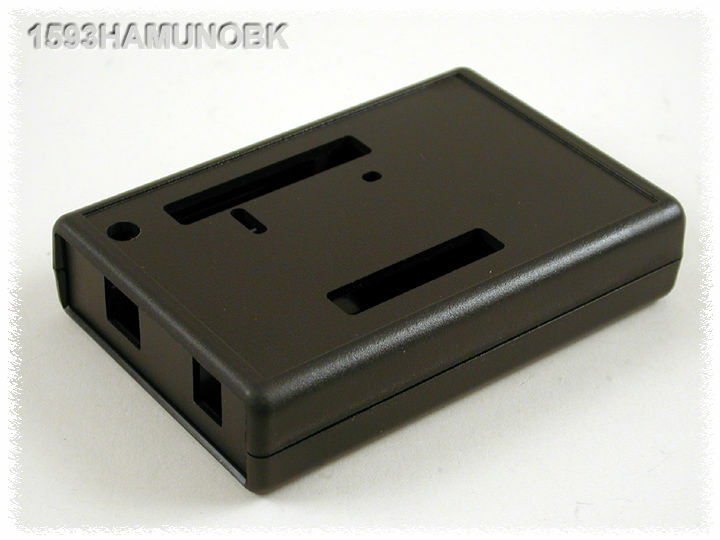 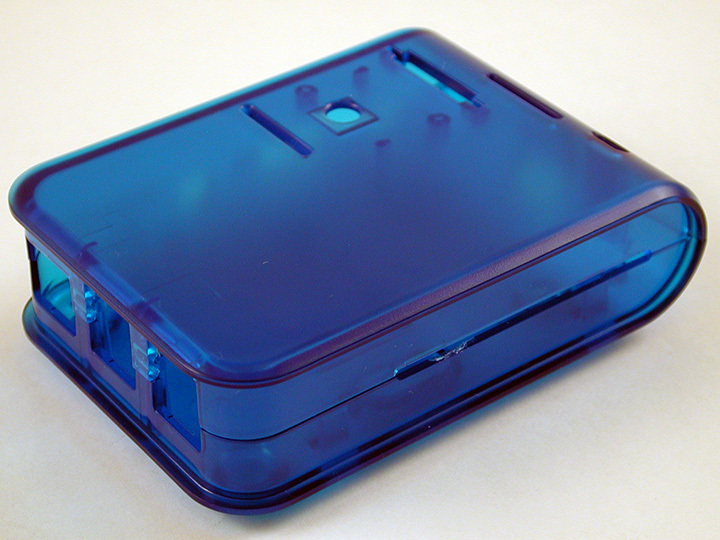 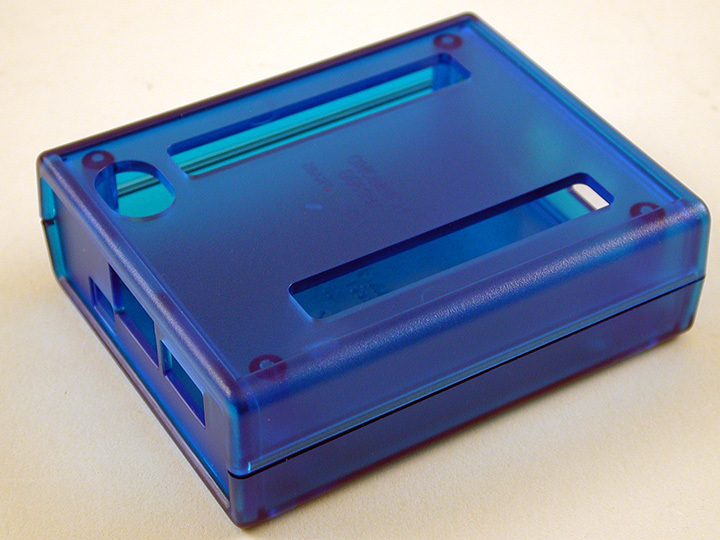 Black & Translucent Blue plastic enclosures include black screws, grey plastic enclosures include nickel finish screws. 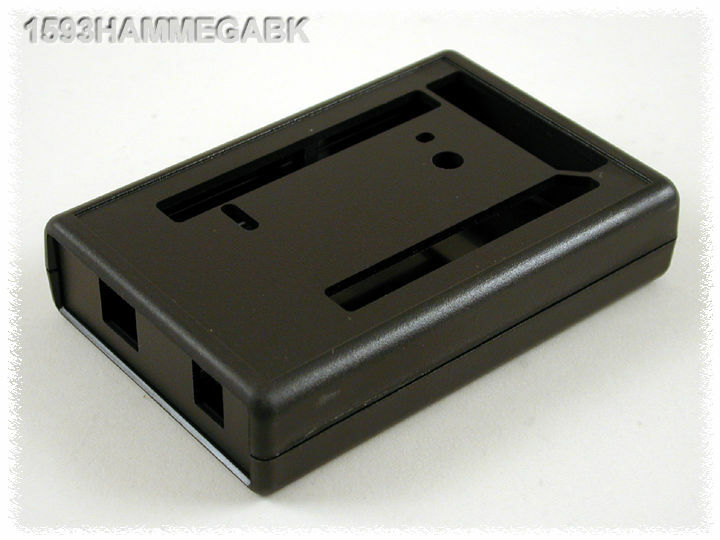 1593HAMPI3TBU enclosure used in photos. 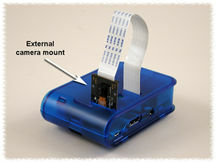 Board, camera & micro SD card NOT included.